We’re very sorry about the inconvenience this is causing, but we are experiencing some network issues with some servers in our LAX data center. This is causing downtime for Private Servers and MySQL. Our network engineer is on site and we hope to have this issue resolved as quickly as possible. Unfortunately, it lasted much longer than anticipated. After spending some time with their support staff they let us know that they have also been having widespread problems with the stability of their servers. Some of you have occasionally reported errors cropping up and I suspect that those might be related. Thanks to everyone who has reported bugs and problems with the website. It has been very helpful as some of the problems were not even showing up in the usual error log files. We continue to work on the stability of the website and hope to minimize these type of outages as much as possible. Hi. My name is Phil Walker. I teach math and Bible and coach basketball, volleyball, and Bible Bowl at Hannibal Christian Academy in Hannibal, MO. For the past 20 years my main passion and life calling has been Scripture memory: discovering, interacting with, and learning to trust, love, obey,serve, and worship the true Biblical God through His Word; and encouraging, inspiring and equipping others to do the same. Scripture memory venues I use, endorse, and praise God for include: MEMVERSE, the National Bible Bee, listening to the Scripture on cd, Bible Bowl, Bible quizzing, the annual Scriptorium in Hannibal, MO, Scripture songs (Thy Word Creations, GT and the Halo Express, NIV Kid's club, Pilgrim songs, etc. ), Scripture Memory Fellowship (formerly Bible Memory Association), Dramatic Scripture presenters like Marquis Laughlin (Acts of the Word), and Quiz Pro. I send out a daily devotional email based on a key verse of every chapter of the New Testament, and a "less than daily" devotional based on every chapter of the Old Testament. The most common theme of these devotionals is using Scripture to challenge today's "Trivial Gospel" (which has no need of, or interest in Scripture memory). I would be glad to add anyone on to the list whose email inbox is not already overflowing. I have written 3 Biblical dramas that are on youtube: Sermon on the Mount (2006) www.youtube.com/watch?v=4NkVvmbo-ho Jesus-Masterful Teacher (2008) www.youtube.com/watch?v=4EUrqo6U2Uc and Job: Suffering Servant of God (2009) www.youtube.com/watch?v=7J4qGFimTWo (There is purposely no copyright on any of these plays, so you may use them and even change them to meet your needs however you wish. The Sermon on the Mount in particular has a lot of scenes that can be used as stand alone skits). I had the opportunity to speak at a Geneva College chapel Sept 12th, 2007 on the "Outrageous Claims of the Bible" www.geneva.edu/object/chapel_audio_07_08.html I would love your feedback to any of these thoughts in the plays or the chapel message. When GALATIANS 2:20, which I had memorized in high school at Faith Academy in the Philippines came back to me 7 years later (the summer after my first year teaching in a Christian school) to lead me to put a saving faith in Jesus Christ, I instantly had a passion to discover what else God had to say in His incredible Word. I was also excited to share in this pursuit with other Christians who were also excited about getting to know God better and better through His Word. However, many times it seemed like no one else was interested. Andy had not yet made Memverse, and it was a strange feeling to wonder if I was the only one who actually believed the Bible was worth memorizing. Since then God has brought many others into my life. I often wonder who these other people and groups are on memverse. 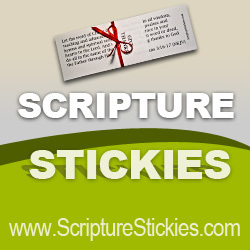 What other exciting Scripture memory is going on around the world? I invite you to introduce yourself, let us know what you are memorizing, why you are memorizing, and anything else that could edify, inspire and encourage a group of Scripture enthusiasts. People often ask how long it will be before a verse is classified as 'Memorized'. That's a valid question since it is, after all, the purpose of the Memverse. As you can see, the option you select makes a big difference to the time it takes to get a Bible verse memorized. Don't be tempted to select option 5 when you don't know the verse perfectly as you will later find that you can't recall the verse because the interval grows too quickly and you can't retain the verse over such a long period. These days I make frequent use of button 3 because that way I know it will be cemented in my memory. In most cases, you will find that it will take somewhere between a month and three months before a verse is classified as 'Memorized' since you will use a combination of the buttons based on your recall. This is also why it's good to keep a 'pipeline' of verse that you're working on. Use the time commitment that is reported at the end of your memorization session as a guideline for when you should add more verses. There is now a new page (located under the 'Memorize' menu) where you can work through entire chapters. It's currently similar to the 'Practice' section in that you can run through an entire chapter but it won't update any of the intervals, eFactors, next review dates etc. associated with the memory verses in those chapters. We'll probably find a way to work that in soon but test it out for now. I think you'll find it a great way to memorize chapters, psalms and entire books. You do need to have an entire chapter of memory verses that you're working on. If you aren't yet working on an entire chapter, you can always start with Psalm 1. It's only 6 verses long. Congratulations to GA for being the most recent addition to the state competition. Is your state listed? It takes 3 !! Why not find two other people from your state to join and start representing as well as inspiring others from your state! Can anyone top CA? They currently have a sizeable lead. However, with the summer Bible Bee and the Lord willing, partnership with Scripture Memory Fellowship, that lead may be in jeopardy. Congratulations also goes out to NY who jumped up from 9th to 7th place. Wow! There must be some Scripture enthusiasts on fire over there. What is your prediction for when we get ALL 50 states represented? Remember to encourage your friends to join the state competition by listing it on the Profile page and "update profile" . We have started adding support for Spanish to Memverse. Once we have implemented a Spanish version of the website, we should be able to add subsequent languages a lot quicker. For now, it is a long and relatively slow process. Once you have switched to the Spanish version, you will have to enter verses using the Spanish names of the books of the bible. The autocomplete is still set for the English names but we'll hopefully have that changed soon. For now, when entering Spanish verses, please enter accented letters and special punctuation. We will hopefully allow you to omit the accents when memorizing but it would be better to have the original in the database and it will probably revert to that once we start making corrections. We're very excited about this development as it will allow Memverse to become a truly global website. We gladly welcome help translating the site into any language and will add support as quickly as we can. Once we're finished the Spanish version, we will be able to provide you with a simple translation file and you'll be able to translate independently of our development cycle. We launched Memverse a year ago, hoping to inspire a new generation of computer-savvy Christians to memorize their Bibles in earnest. As of today we have hundreds of active users and thousands of verses memorized. We still have plenty of plans for Memverse (more than when we started!) and, as always, will be relying on the feedback of users in determining what to work on next. By popular demand, the reference recall test has been changed to include all your verses. If you liked memorizing just the first verse of each passage, you can still select that option in your profile. There is a new 'Accuracy Test' which will let you know just how well you really know your memory verses. Don't be surprised when you find that it's a lot harder without the feedback! We recommend taking it periodically to ensure that you're scoring yourself correctly during your memorization sessions. That's all for today. If you'd like to give us a birthday gift, we'd love you to send out some invites to your church, mention us on Facebook, or call up a family member and ask them to memorize God's word with you. There are a few new settings on the Profile page. In the past, the maximum interval between repetitions was 365 days. If you feel that this was too long, you can now set the maximum interval to be as short as three months. On that setting, you will repeat every verse at least 4 times a year, no matter how well you know it. Learning -- this setting will only turn on prompts for new verses that you are learning. This is the default setting. If you're working on memorizing some new Bible verses you'll notice that the memorization flash card now has the first letter of each word on the flipcard. This should help jog your memory in those early stages of memorization. I haven't ever used them before but have read in various places that people find them very helpful. They will currently only show up for memory verses with a repetition interval less than a week. We might adjust this in future based on everyone's feedback but it seemed better to not get too dependent on them. Feel free to leave feedback in the comments or, if you prefer, click through to our main feedback website. Incidentally, the little black tab on the right (labeled 'Feedback') can be used for reporting bugs, submitting new ideas, commenting on features - pretty much anything that doesn't already have a blog post. You can also go there to vote on new features that you'd like to see on Memverse.